Few witnessed the death, and even if more had, they’d likely not report it. With civilization so remote, so distant, who’d be around to determine the cause? No one. And so, the body began its slow decline. Within a few days, a hard snow fell, encasing the body, preserving it. Winter turned fierce and harsh, almost without end. The cold turned the snow into ice, and before long, the body’s grave filled around it, until the snow and ice smoothed over the land, creating a featureless, anonymous plain. As travelers came upon the area, others trod upon the grave, unknowing of its presence. Some stayed and began new life, some died nearby, but none possessed the knowledge of the body buried a thick distance below. Centuries passed without incident until a certain curiosity occurred: the seasons lost their sting. Winter winds carried less snow, ice retreated early, summer grew in importance. Soon the bare earth revealed itself as hadn’t been seen since a forgotten era. With it, the ancient body greeted the sky and within it, an awakening occurred. Curious nomads happened upon the frozen body, now becoming soft in the glowing sun. A few touched it. To them, it seemed as if it had only fallen asleep for a brief nap. They remarked how full of life it appeared. Life takes many forms. Humans are quick to consider life as an embodiment of themselves, or animals, a favored pet. Even the trees and blossoms constitutes life, especially when it serves to please. What the nomads hadn’t counted on was the darker side of life – the bringers of death. When they touched the body, they released what had been preserved in slumber, hiding in the folds and innards of a long-dead reindeer. Anthrax had been the cause of its death, and remarkably, it’d been able to survive many years. It didn’t take long for the disease to sicken approximately one hundred lives and cause the death of a child. 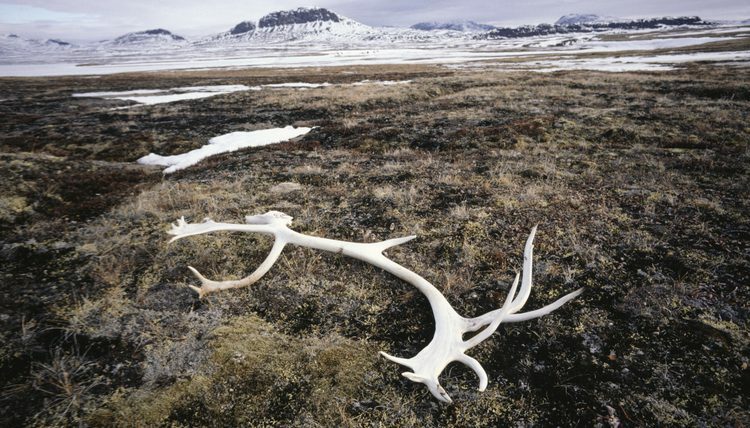 This event actually happened in Siberia in the summer of 2016, when melting permafrost revealed a reindeer’s anthrax-infested remains. Simple curiosity infected, sickened and killed a vulnerable population, unaccustomed to such diseases occurring at random. It’s also a larger symptom of an inevitable situation – climate change. Geographical regions such as the Arctic tundra are now revealing their long-buried secrets, causing situations not even imagined. While so much focus has been placed on rising sea levels (with good reason), there are other side effects to rising temperatures. So if anthrax can be released so casually to an unsuspecting population, what other diseases are rising to the surface, ready to strike, under similar circumstances? Especially on those with limited or no natural immunity? If this seems like science fiction, well, it’s not.